As one would observe with the data about 18 districts of Tamil Nadu are currently in the negative zone as far as rains are concerned with districts like Kanchipuram, Tiruvannamalai, Vellore, Tiruvallur, Ariyalur & Virudhunagar facing deficits ranging between 20% to 45% . 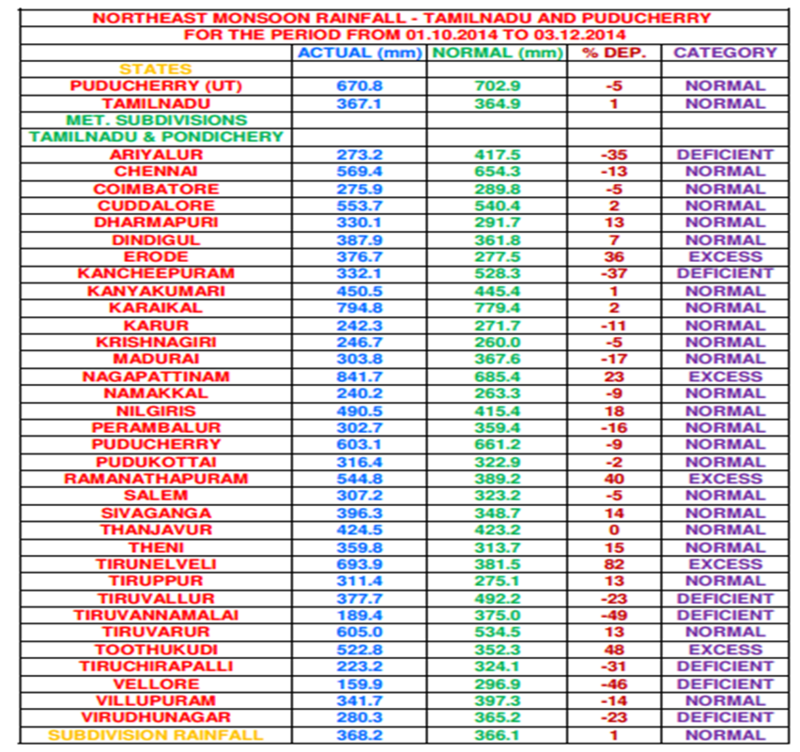 The overall rainfall statistics for the state is skewed by the extremely heavy rainfall places like Tirunelveli, Thoohtukudi & Ramanathapuram have received. While the state overall shows normal rainfall it is just a statistical number with the rains extremely lopsided and unevenly spread from the spatial perspective. No wonder the catchment areas of Chennai are possibly having less than half the storage despite the rainy season virtually in its final leg.